I don’t have an ice cream maker. What I do have is 10 minutes, chocolate and a dream. This ice cream is magic because instead of needing to be churned for hours, it can be fluffy and glorious simply by folding whipped cream all up in some chocolate. A few bites in and this magical ice cream was compared to mousse, which is probably what most ice creams want to be compared to. Sometimes I’m messy. I’m ok with messes that look like polka dots though. I scooped it with my cupcake scoop. That guy was a champ. In a large bowl combine coffee powder and hot water. Let stand for a few minutes or until coffee is dissolved. 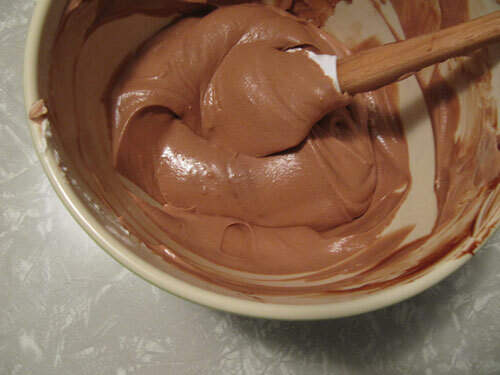 Add chocolate and sweetened condensed milk to coffee mixture and microwave, stopping to stir mixture every 30 seconds until chocolate’s melted (about 2 minutes). Stir in vanilla and salt. Set aside. Chocolate Zigzags: If you want to make chocolate zig zags just melt some chocolate and place in a zip lock bag. Cut the little corner and pipe into silly shapes on wax paper or parchment paper. Place in the fridge or freezer and they’ll firm up and be all set for a garnish in minutes. Top ice cream! 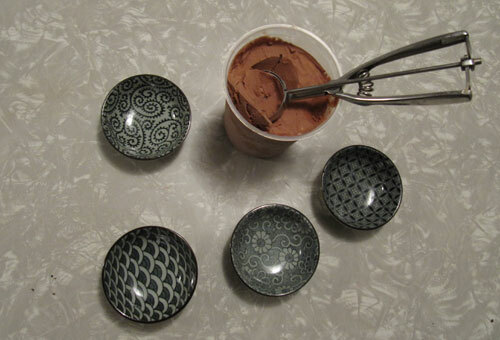 Dessert for four … (and me, but I only have 4 cute matchy bowls). MMMMMMMMMM It is not fair, it is almost dinner time and Mom will want me to eat a meal first. This looks way to good to wait until after dinner. Thanks Dad, but I know for a fact that she made an amazing dessert! This is just perfect! I don’t have an ice cream machine, and have been jonesing to make some. Bookmarked! Cool Dana! I was so excited to make this too, We should come up with variations for fancy flavors! What a cool idea! 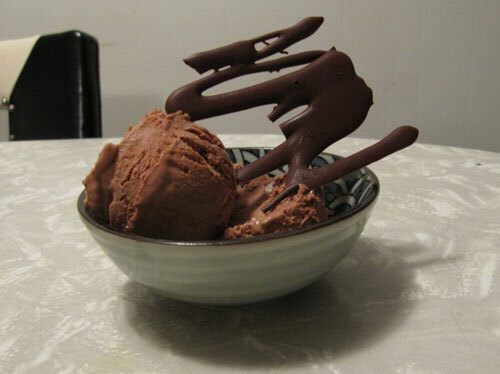 I’ve never had an ice cream maker, either, but this looks really fun! Also I absolutely love “What I do have is 10 minutes, chocolate and a dream.” Hope you’re having a great week, Megan! Thanks Beckie! Now us ladies without ice cream makers can still keep it real and cool with this kind of ice cream! I love no churn ice cream. This recipe is perfect!! I love this recipe and I have made it so many times! 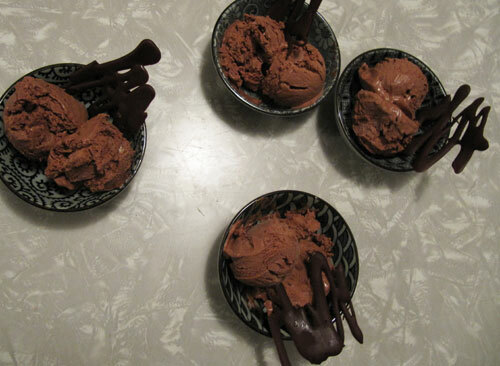 Im 12 years old and this recipe is ridiculously easy to make – on the first time I used this recipe I added a little too much coffee and it was a bit like mocha ice cream but it tasted really good so every time i make it like that! Im so glad that i don’t need a churner for this recipe because honestly i just cant afford it! Im so glad i found this recipe. This looks amazing! 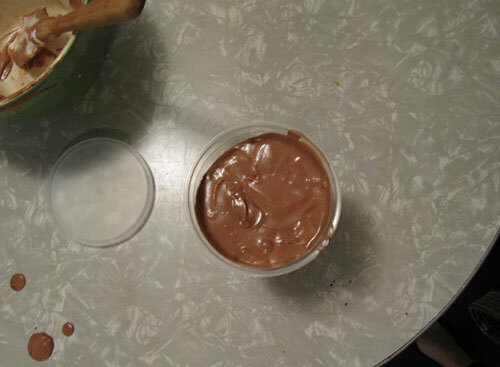 What kind of containers do you use to store the ice cream in? I’m curious about what kind to use or does it make a difference as long as the container is airtight?